New Delhi April 10 (IANS) Not long ago when the Jawaharlal Nehru University (JNU) here was at the centre of a burning controversy -- with its student leaders and several professors being dubbed "anti nationals" -- a playwright and theatre director who in his own words "was born and raised in JNU" took serious note of it. And he did what he does best -- began working on a script titled "Muktidham". Now he has been nominated for Best Director and Best Original Script at the Mahindra Excellence in Theatre Awards later this month. Abhishek Majumdar is not your usual theatre personality. Founder and artistic director of the Indian Ensemble his playwriting credits include "Harlesden High Street" (winner of The Hindu s MetroPlus Playwright Award) and "Djinns of Eidgah" (produced by London s Royal Court Theatre) among others. "I started working on this play particularly after JNU was being attacked by the right wing government of our time. I was born and raised in JNU and for me personally the fact that people like Harbans Mukhia and Romila Thapar were being called anti-national was a sign of a deep plague in our society. "These are people who could have worked anywhere in the world but chose to come back to the country or stay back in the country and contribute to the great intellectual tradition that we often boast of " Majumdar whose parents were on the university s administrative side told IANS in an interview. Elaborating on the inspiration behind "Muktidham" he recalled that it started as "an enquiry about why fascists and dictatorial regimes often turn anti-intellectual". "Hence it was important to explore the roots of what is broadly called Hinduism... Of course Hindutva is a different animal altogether invented through Italian and German models of fascism and has no correlation whatsoever with any kind of Hindu history. But it was important to look at the claims of the Hindutva brigade " explained Majumdar who holds a Master s degree in Theatre from the London International School of Performing Arts. The other key elements of this production are its engagement with the historical social and theological concerns of Hinduism. The play questions what is it "that leads the right wing political ideologies to eventually turn anti-intellectual despite their rational origins". 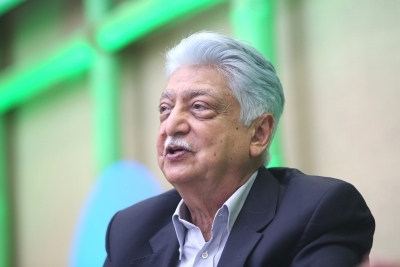 "Our current right-wing has forgotten that it has had no role to play in the freedom struggle and had absolutely nothing to do with the building of any great educational institutions including the incredible Mathas that this country has had. Our own Gurukuls and Mathas were seats of debate argument questioning the epics. India traditionally has been a land of great debate and discourse. "The right-wing is anti-intellectual because it lacks intellect. Hence it has made intellectual a bad word. In the country of Ramanuja and Adi Sankaracharya and Aryabhatta the kind of science and humanities these people are pedalling is a primary anti-national act that we should be upset about. I am posing this question because we are living in these times " he contended. 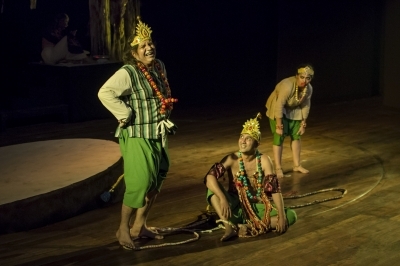 Majumdar a recipient of the Shankar Nag Theatre Award in 2014 said that "Muktidham" presents the argument from multiple perspectives as is expected from theatre. "It focuses on the tragedy of the believer who is stuck between the atheist and the fundamentalist. In fact the current Hindutva brigade is not even fundamentalist but a pure opportunist. The play develops the thesis hopefully in a nuanced manner " he said. While Delhi audiences are yet to get a glimpse of "Muktidham" the play seems to have struck the right chords with the judges of the Mahindra Excellence In Theatre Awards as it has been nominated for as many as six awards. The two-hour Hindi play will open the 13th edition of the yearly theatre awards festival at Shri Ram Centre on Friday April 13. Over 330 entries were received this year at Mahindra Excellence In Theatre Awards which were viewed by an eminent selection committee comprising well-known theatre practitioners. This year s final 10 nominations feature plays in Assamese Bengali English Hindi Kannada Malayalam and Manipuri -- as well as a non-verbal movement theatre production.